Hello! I am pleased to make your acquaintance! My name is Dawn, and I am so glad you are visiting! Oh, and I must not leave out the Cottage… It is my hope that my husband and I are creating a peaceful, safe, encouraging, comfortable retreat in which our only son, guests, and family may be nurtured and loved. I cried when I read the last page of Lucy Maud Montgomery’s book, Anne of Green Gables, and vowed at the young age of 8 that I would name every home lived in from that day forward (it’s the red hair). And so, our present home is aptly named “Blue Willow Cottage.” Readers will find the transformation of our home documented in the pages of this Blog. You will find me to be an zealot when it comes to decorating. Even so, we have lived in the beauty of imperfection in Blue Willow Cottage for 4 years; the metamorphosis from Fifties Décor to French Country Chic/Shabby continues as inspiration and finances allow. Jesus is the LORD and my Savior of my life. I pray and study His Word daily, and strive to become transformed into His Image with each breath I take. One of my most frequent prayers is that I will bring Glory to God the Father through my life, and through the activities/postings on this Blog. Gardening is another strong passion… a cherished hobby which supplies our kitchen with Herbs and Organic Vegetables for the meals and recipes featured on the Blog. I share my interests in health and good nutrition throughout. To go along with this, you may not be surprised to learn that I am an RN (with a Master’s Degree in Nursing with emphasis in Family and Community Dynamics). 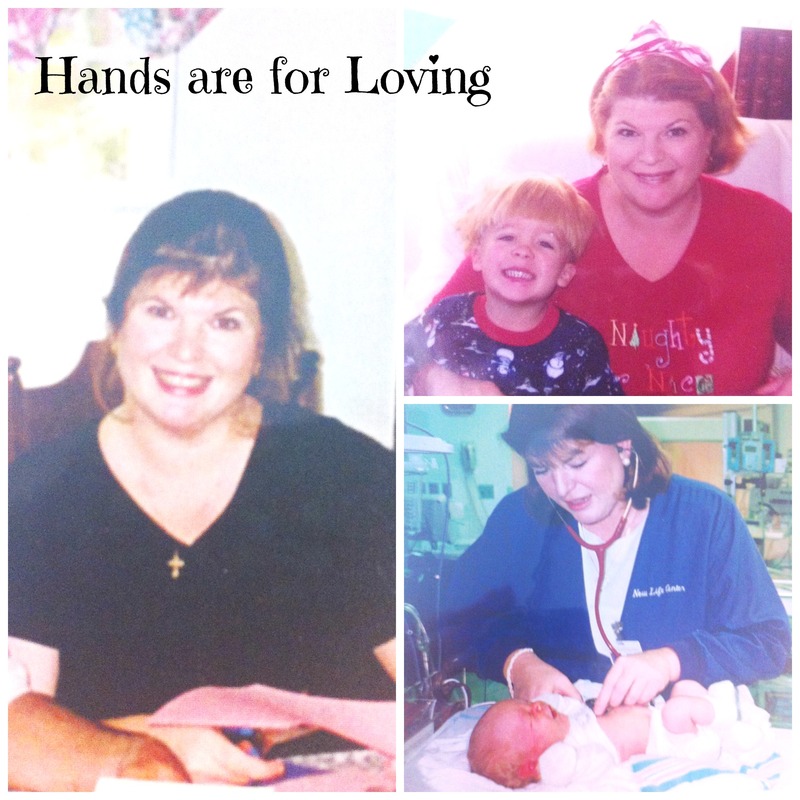 I adore working with young families, and have served as a Labor and Delivery Nurse for 18 years. It is my joy to have welcomed at least 2,100 of God’s little ones into this world, serving Daddies and Mothers, and assisting Obstetricians as a Nurse (and even safely delivering 2 babies with my own hands). Did I mention that we Home Educate our 12 year old son? Mandarin and Life Skills are in the Curriculum, along with Sermon Writing and participation in the Puppet Team at our local congregation. “Typical” is not a word that describes our family, of that you can be sure. Now and again, I may share my paradigms for motherhood, childrearing, loving, being a helpmeet, and faith. You will find glimpses of memories from my childhood sprinkled throughout the pages of this site, also. And my favorite quotes; they are here, for I simply cannot keep them to myself! B studies for his “Centurion of Scripture” Goal for 2017. This involves memorizing 100 scriptures and reciting them to one of our church Elders within a 12 month time period. Since beginning this blog, I have discovered that I love to write! I love to share my thoughts, happenings, photos, recipes, and life with others in this media format. It is something I long to do… I love visiting other blogs, too. I love learning… Oh, and I have SO much to learn! Thank you for reading, and please do leave correspondence in the form of comments when you are able. I look forward to sharing and making friends. I love this, Dawn. Thank you for sharing from your heart. It is nice to know who we are hearing from. I even learned a few things I didn’t know about you. My pleasure, Jamey! So glad you stopped by to read! This is a very open and honest look into who you are, Dawn. I like what you say about bringing honor to the Lord through your life everyday. Thank you for visiting my blog and I hope you will come back! Yu are welcome, Steve, and Thank you for reading some of my thoughts, too! Wow! So very nice to meet you! There were so many thoughts tearing through my head when I read this, but first and most importantly, it’s almost as if I’ve already met you! We have so much in common! I love, love, love that you name your houses!!! I’ve always wanted to do that. And I love the name of your house! Blue and white are my favorite color schemes for my kitchen, and of course there is Blue Willow patterns for dishes. I’ve always wanted to be a nurse in labor and delivery. I just love that process, and love being with a woman in labor. Sounds pretty crazy! I’ve had the opportunity to be with three of our daughters during their labor and deliveries, and it was just a magical time. My blog…after two years I’m still trying to figure out where I’m going with it. lol So it also consists of a little bit of everything. Wonderful to meet another sister in Christ and I’m looking forward to reading more on here! Nice to meet you, too, Deborah Ann! I peeked in at your blog for a moment, and I know I will return when I have more time to give the attention it deserves! Thank you for visiting my blog! Dawn, I just love this. I sure miss you my friend. It looks like God continues to bless your sweet little family.